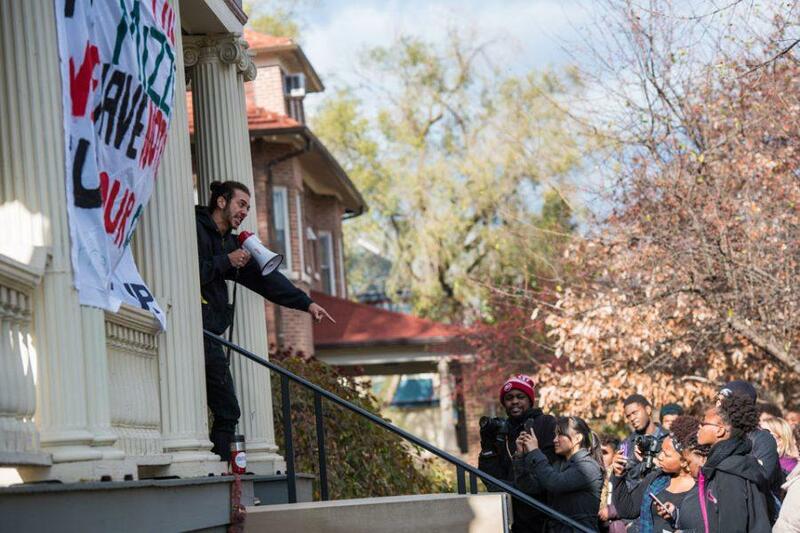 Students gather outside the Black House during a demonstration last Fall. University administrators have hired an architectural firm to begin planning Black House renovations. University administrators hired an architectural firm to begin planning work on the Black House by the end of the month. In an interview with The Daily, Patricia Telles-Irvin, vice president for student affairs, said the firm will start meeting with constituents to gather opinions and suggestions on what renovations should be made. Though the schedule has not yet been set, Telles-Irvin said she expects to have a better idea of how the changes will be implemented by the end of September. Last summer, University leaders announced plans to move administrative offices into the Black House, sparking outrage among alumni, faculty and students who said the building on 1914 Sheridan Road should remain a safe space for black students at Northwestern. The debate that followed led to the cancellation of the original plan to move offices into the Black House and the Multicultural Center, 1936 Sheridan Road. During the controversy, a group called Concerned Students of Northwestern University published a list of demands including the improvement of Black House facilities — from the quality of technological equipment to the expansion of rooms and creation of performance spaces. Telles-Irvin told The Daily that the University has already updated equipment in both spaces, including different computer programs and software for McCormick students. The next step for the administration, she said, is to renovate the spaces in the Black House. “(The architectural firm) will give us a recommendation and also the cost associated with that recommendation, and then we need to move into the next phase, which would be planning for when this renovation can take place and what it’s going to entail,” Telles-Irvin said. Telles-Irvin said she expects to receive recommendations from the architects by the end of December or early January. She expects NU to eventually address similar updates for the MCC, she said.